Name Variation Heinrich Charles Gottlieb Vorlop was also known as Henry C.
Heinrich Charles Gottlieb Vorlop was born on 12 March 1862 at Germany also reported as Mar 1861. He married Anna A. Koenecke, daughter of Christopher Koenecke and Catherine Elisabeth Huebing, circa 1887. Heinrich Charles Gottlieb Vorlop died on 10 January 1934 at age 71. Henry Wolter married Dora (?). Henry Wolter was born circa 1850 at Hanover, Germany. Married Name Her married name was Wolter. Dora (?) married Henry Wolter. Dora (?) was born circa 1854 at Hanover, Germany. Edward Wolter was born circa 1878 at Wisconsin. He was the son of Henry Wolter and Dora (?). Edward W. Lindloff married Meta Anna Koenecke, daughter of Herman Koenecke and Wilhelmena Ebel. Edward W. Lindloff was born in 1884. He died on 26 January 1980. Evelyn Lindloff was born in 1912. She was the daughter of Edward W. Lindloff and Meta Anna Koenecke. Evelyn Lindloff died on 2 November 1918. Adeline Lindloff died in 1910. Married Name circa 1878 As of circa 1878,her married name was Dargel. Married Name circa 1878 As of circa 1878,her married name was Dargle. Mary B. Maas was born in September 1859 at Germany. She was the daughter of Henry Maas and Wilhelmina Garske. Mary B. Maas married Henry Frederick W. Dargel circa 1878. Mary B. Maas died after 1930. Mary B. Maas immigrated in 1875. She had 6 with 6 living in 1900 children. [S245] U.S. Federal Census 1900 U.S. Federal Census, by Ancestry.com, ED139. Dwelling 309. Name Variation Henry Frederick W. Dargel was also known as Frederick. Name Variation Henry Frederick W. Dargel was also known as Dargle. Henry Frederick W. Dargel was born in June 1846 at Germany. He married Mary B. Maas, daughter of Henry Maas and Wilhelmina Garske, circa 1878. Henry Frederick W. Dargel died before 1920. Henry Frederick W. Dargel immigrated in 1863. Emma Dargel was born in March 1879 at Wisconsin. She was the daughter of Henry Frederick W. Dargel and Mary B. Maas. As of 1930, Emma Dargel was never married. Hugo Dargel was born in March 1895 at Wisconsin. He was the son of Henry Frederick W. Dargel and Mary B. Maas. As of 1930, Hugo Dargel was never married. Edward Dargel was born in July 1880 at Wisconsin. Amiel Dargel was born in October 1887 at Wisconsin. Clara Dargel was born in November 1883 at Wisconsin. Herman Henry Dargel was born on 26 August 1886 at Wisconsin also reported as Aug 1885. Herman Henry Dargel married Bessie Alford on 12 April 1912. Herman Henry Dargel died on 15 January 1955 at age 68 Herman Henry Dargel was born August 26, 1886 at LaValle, the son of Frederick Dargel and Mary nee Maas. He was baptized October 3, 1886 at St. Peter's Lutheran church in Reedsburg by the Rev. August Rohrlack. After thorough instruction in the fundamentals of the Christian religion he was confirmed in his faith on April 13, 1900. On April 12, 1912, he was united in marriage with Bessie Alford, by the Rev. P. Schaller. God blessed this union with nine children, one of whom, Edwin, passed away in 1945, while serving in the Armed Forces of his country. He lived in the vicinity of Reedsburg all his life, except for one and one half years which were spent in Minnesota. He was engaged in farming all his life. For the past two years he had been ailing. Since last winter he rapidly grew weak and became more frail. He passed away on January 15, having reached the age of 68 years, four months and 19 days. He is survived by his widow, Bessie; eight children, Mrs. Esther DeBeir of LaValle; Frederick of Holley, Michigan; Mrs. Ruth Barets of Warren, Michigan; Mrs. Mable Wagner of Flint, Michigan; Herbert of Lime Ridge; Mrs. Harriet Krayer of Reedsburg; Mrs. Eva Mittelstaedt of Reedsburg; Frank of Grand Blanc, Michigan and 21 grandchildren. Funeral services were held on January 19 at St. Peter's Lutheran church, the Rev. Carl Seile officiated and burial was in the church cemetery. Taken from the Reedsburg Times Press of February 10, 1955. 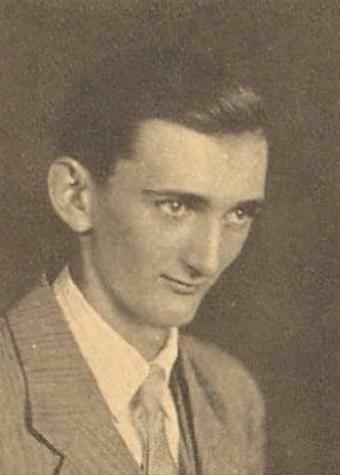 Erich Flohr was born on 25 May 1914 at Wisconsin. He was the son of Ernest Henry Flohr and Emma Thiemann. Erich Flohr died on 3 July 1988 at age 74. Erich Flohr graduated in 1935 at Reedsburg High School, Reedsburg, Sauk, Wisconsin. Married Name Her married name was Roloff. Alma Maria Dorothea Flohr married Ernest H. Roloff, son of Carl Fredich Gotlib Roloff. Alma Maria Dorothea Flohr was born in 1916 at Wisconsin. She was the daughter of Ernest Henry Flohr and Emma Thiemann. Alma Maria Dorothea Flohr died in 2002. Alma Maria Dorothea Flohr graduated in 1935 at Reedsburg High School, Reedsburg, Sauk, Wisconsin. Arnold Flohr was born on 28 September 1917 at Wisconsin. 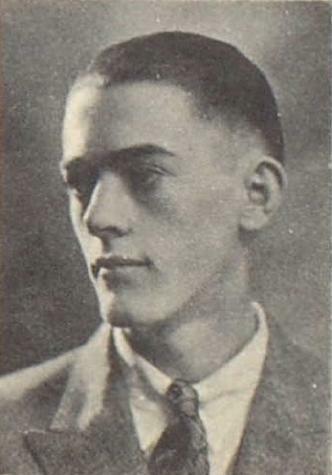 Arnold Flohr died on 6 July 1941 at age 23. Arnold Flohr graduated in 1936 at Reedsburg High School, Reedsburg, Sauk, Wisconsin. Name Variation Edith Mary Schiefelbein was also known as Eda. Name Variation Edith Mary Schiefelbein was also known as Ida Mary. Married Name circa 1899 As of circa 1899,her married name was Ost. Edith Mary Schiefelbein was born in July 1882 at Wisconsin. She was the daughter of Gotfried J. Schiefelbein and Henrietta Middlesteadt. Edith Mary Schiefelbein married Albert Theodoer Ost, son of Ferdinand Ost and Friedericka Garske, circa 1899. Edith Mary Schiefelbein died on 13 March 1951 at age 68. 1 June 1905 Reedsburg, Sauk, Wisconsin Edith Mary Schiefelbein appeared on the census of 1 June 1905 in the household of Albert Theodoer Ost at Reedsburg, Sauk, Wisconsin. Name Variation Henrietta Middlesteadt was also known as Henriette. Name Variation Henrietta Middlesteadt was also known as Mittlesteadt. Married Name Her married name was Schiefelbein. Name Variation Henrietta Middlesteadt was also known as Etta. Henrietta Middlesteadt married Gotfried J. Schiefelbein. Henrietta Middlesteadt was born on 16 April 1845 at Germany also reported as Mar 1845. She died on 21 April 1908 at age 63. 1 June 1905 Reedsburg, Sauk, Wisconsin Henrietta Middlesteadt appeared on the census of 1 June 1905 in the household of Albert Theodoer Ost at Reedsburg, Sauk, Wisconsin. Name Variation Gotfried J. Schiefelbein was also known as Godfry J.
Gotfried J. Schiefelbein married Henrietta Middlesteadt. Gotfried J. Schiefelbein was born on 19 May 1843. He died on 4 March 1898 at Sauk, Wisconsin, at age 54. Married Name Her married name was Schmitt. Hyacinth M. Ost married Otto A. Schmitt. Hyacinth M. Ost was born on 5 December 1901 at Sauk, Wisconsin. She was the daughter of Albert Theodoer Ost and Edith Mary Schiefelbein. Hyacinth M. Ost died on 8 November 1982 at age 80. 1 June 1905 Reedsburg, Sauk, Wisconsin Hyacinth M. Ost appeared on the census of 1 June 1905 in the household of Albert Theodoer Ost at Reedsburg, Sauk, Wisconsin. Name Variation Evan Ost was also known as Alois W.
Evan Ost was born on 4 March 1904 at Wisconsin. He was the son of Albert Theodoer Ost and Edith Mary Schiefelbein. Evan Ost died on 26 December 1944 at age 40. 1 June 1905 Reedsburg, Sauk, Wisconsin Evan Ost appeared on the census of 1 June 1905 in the household of Albert Theodoer Ost at Reedsburg, Sauk, Wisconsin. 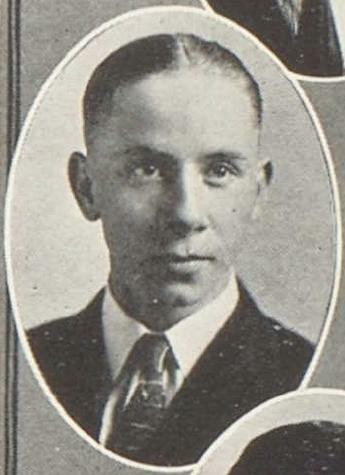 Evan Ost graduated in 1922 at Reedsburg High School, Reedsburg, Sauk, Wisconsin. Name Variation Robert Laverne Ost was also known as Robert Luvern. Robert Laverne Ost was born circa 1918 at Wisconsin. Robert Laverne Ost married Roberta Mary Haar, daughter of Robert Haar and Floy Homan Trowbridge, on 29 June 1942 at Hutchinson, South Dakota. Robert Laverne Ost died before February 2006. Robert Laverne Ost graduated in 1935 at Reedsburg High School, Reedsburg, Sauk, Wisconsin. Goodwin Max Darrenougue was born circa 1888 at Wisconsin. He was the son of Augustus Darrenougue and Josephine Hess. June Marie Darrenougue was born circa 1890 at Wisconsin. She was the daughter of Augustus Darrenougue and Josephine Hess. 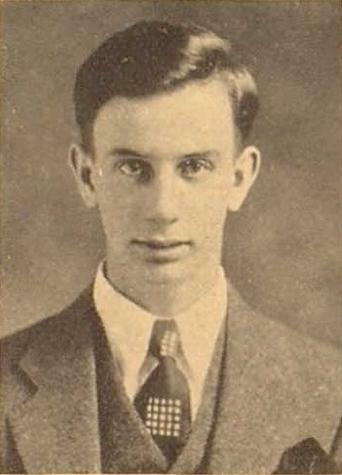 Daunine Darrenougue was born circa 1895 at Wisconsin. Name Variation Phillip Garske was also known as Phil. Phillip Garske was born circa 1901 at Wisconsin. He was the son of Albert J. Garske and Dorothea A. C. Schroeder. [S250] U.S. Federal Census 1930 U.S. Federal Census, by Ancestry.com, Year: 1930; Census Place: Reedsburg, Sauk, Wisconsin; Roll: 2609; Page: 2A; Enumeration District: 29; Image: 318.0. 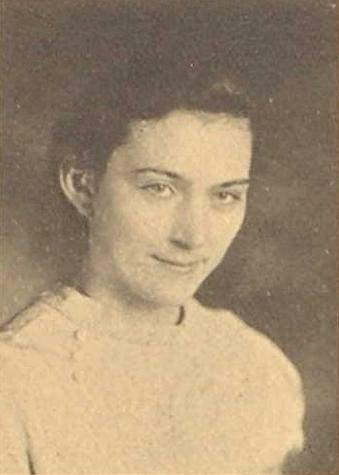 Erana Garske was born circa 1906 at Wisconsin. She was the daughter of Albert J. Garske and Emma M. Wolters. Name Variation Selvilla Garske was also known as Silville. Selvilla Garske was born circa 1908 at Wisconsin.